Eugenia Beaver passed away November 13, 2017 in Mesa, Arizona, her home for the past 37 years. The youngest of Frank and Elfreida Sweeney’s three daughters, Eugenia was born December 31, 1924 on her parent’s ranch near Juniper Springs, Colorado. A graduate of Craig (Colorado) High School, she earned her teaching degree from Colorado State College of Education in Greeley. She married Harvey Beaver following her college graduation in June 1946. The early years of their marriage were spent in Charlo, Montana where he worked on a small beet farm, and she taught elementary school. The couple returned to Craig in 1952. 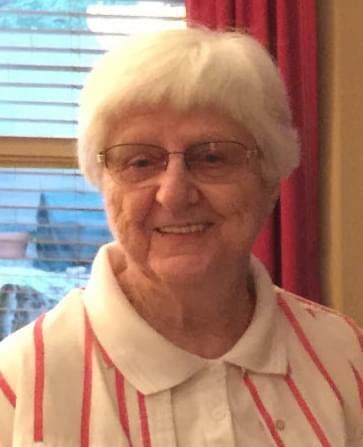 She continued teaching, working in the Moffat County School District until her retirement in 1980. Most of those years were spent teaching first grade at Yampa and East Elementary schools. She was nominated for the Colorado Teacher of the Year Award in 1979, receiving finalist honors from the Colorado School Department of Education and the Colorado State School Board. Following her retirement, Harvey and “Geno” moved to Arizona where they enjoyed the winters in Mesa and their summers in Pine and Strawberry. After Harvey’s passing, Geno remained in Mesa, living her final years at Fellowship Square, where she made many friends and enjoyed her favorite pastime, reading. She is lovingly survived by her daughter, Becky (Klein) and son-in-law, Steve (Mesa, AZ); two grandchildren, Heidi Klein (Chagrin Falls, OH), and Marc Klein (Gilbert, AZ); and two great grandsons, Lucas and Aiden. She was preceded in death by her husband, Harvey; their infant son, Mark; her parents, Frank and Elfreida Sweeney; and her two sisters, Francis Chambers and Iris Hoekstra.